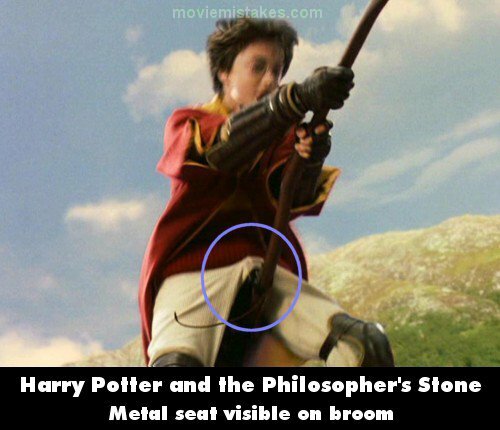 Just finished watching the very first Harry Potter movie and one thing struck me right away: maybe this is just "fairy tale" logic, but how can people balance themselves on such a slim stick when riding brooms? What is the logic behind that? Am I missing something simple in the whole "broom" idea? While the broom is thin on its center radius, they often have stirrups, foot rests that require a wide angle of the legs. This wide angle allows for very simple control of a body's position, similar to a competition high speed bike. By, well, spreading his legs, Harry creates a larger area to balance on. This is how motorcycle and dirt bike racers handle tight turns, widening their bodies area to improve handling. No different than a regular bike really. Physics aside, these brooms are magical, which would allow for a larger area through magical means, lowering the balancing forces required. Even accounting for magic, Harry seems to be exceptionally skilled at quidditch, as in he is abnormally good at handling a broom. This means he has athletic skills on the broom that the normal witch population does not have. This reflects real life athletic skill at sports, which only a small percentage of the population acceles at. Toy broomsticks are given to witches at a young age as well, like tricycles. These only go a few feet in the air, and allow young wizards and witches to learn how to use a broomstick, for casual flying. 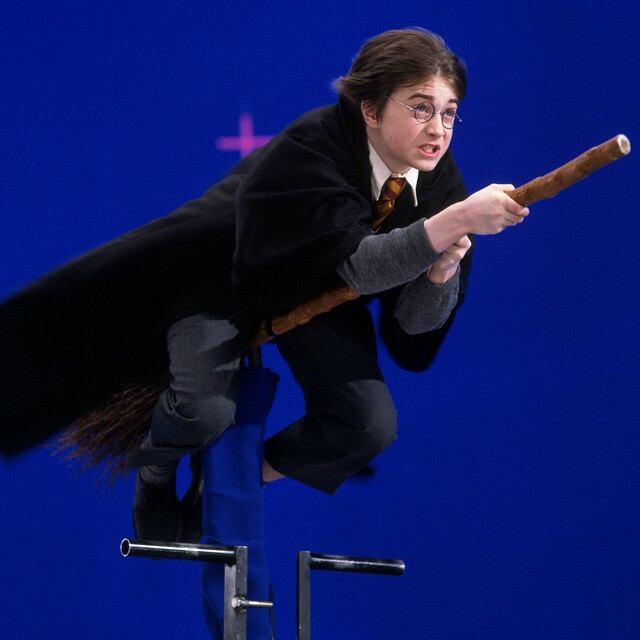 In the early days of filming before they worked out how to do it, flying on a broomstick was a painful proposition for Daniel Radcliffe. He sat, for hours at a time, on a bicycle seat on a broom about eight or nine feet up in the air. "If you sit completely upright or bend over on a bike saddle, without putting your feet on anything for any period of time, it gets really, really painful – for a man, particularly, although it was obviously not pleasant for a woman either." Why does Harry Potter 6 look like it does? Why cannot everybody become ghosts in the Harry Potter movies? Why can some portraits in Harry Potter talk and move while photographs can't? How does Harry Potter save himself from the dementors?